N.W.A members Ice Cube, MC Ren and DJ Yella performed together for the first time since 1989 at the BET Experience event in Los Angeles yesterday (June 28), according to Hotnewhiphop. 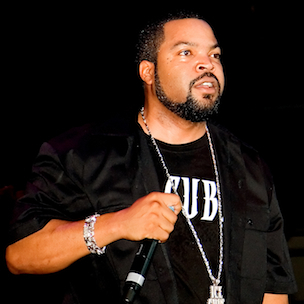 Ice Cube left N.W.A in 1989 to embark upon a solo career after feuding with recording company Ruthless Records over monies he believed were owed to him. Ruthless Records was owned by Eazy-E, who died in 1995 due to complications from AIDS. The other surviving member of N.W.A, Dr. Dre, did not appear at the BET Experience concert. During their performance yesterday, Ice Cube, MC Ren and DJ Yella performed N.W.A’s landmark 1988 song “____ Tha Police.” The three were joined by Snoop Dogg to perform N.W.A’s 1999 song “Chin Check,” which features Snoop Dogg and was included on the Next Friday soundtrack. The N.W.A biopic Straight Outta Compton is slated to arrive in movie theaters August 14.